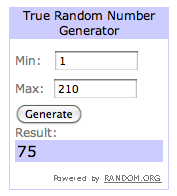 A big congratulations to the winner of the Modest Middles nursing tank top giveaway — #75! "I love that my middle is covered but I can still wear my own nursing bra. I hate the support of the nursing tanks so this would be perfect for me." Visit the Modest Middles online shop. Subscribe to the Modest Middles blog. Subscribe to the Modest Middles YouTube video channel. Join the Modest Middles Friends Club and share your excitement about Modest Middles with others. Like Modest Middles on Facebook. Disclosure: Our reviewer received a free product for review. We try to seek out only products we think you would find relevant and useful to your life as a natural parent. If we don't like a product, we won't be recommending it to you. See our full disclosure policy here.